Sixteen-year-old Sandra Cervantes grew up on Townsend Street, one of the toughest gang neighborhoods in Santa Ana. As a girl, she knew where the gangsters hung out and after school would run home, taking routes that she hoped would help her avoid contact with them. As a preteen Sandra watched many of her peers join gangs. Some of her childhood friends now live under regular fear for their lives. Sandra, by contrast, is a high school senior set to graduate in 2015 with a 4.0+ GPA; she volunteers extensively in her community; she is headed to Pomona College where she plans to pursue a degree in Communications or in Youth Counseling. What was different for Sandra? KidWorks. 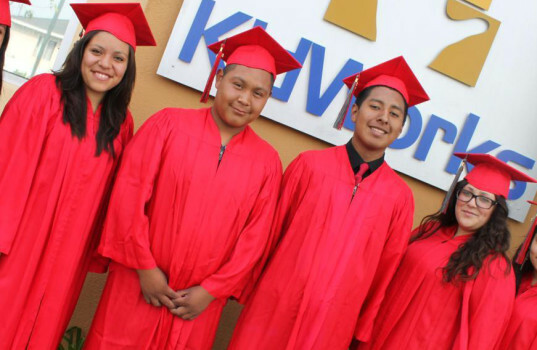 KidWorks was founded in 1993 by pastor Larry Acosta and his wife Jayme to bring hope to impoverished children living in Santa Ana. They started KidWorks in an apartment on Townsend as a summer club to keep students off the street and in constructive activities, safe from the dangers of their neighborhood. When the summer was over, they didn’t want to leave the kids. 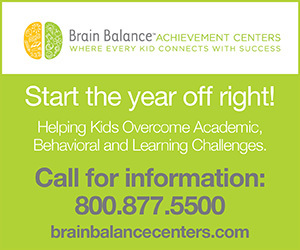 They figured out a way to keep the program going throughout the year, offering after-school tutoring and activities. In 2005, thanks in great part to the Donahue Family and its circle of friends, KidWorks opened the Dan Donahue Center which has allowed the organization to serve over 800 children, teens and parents every week. Full-time preschool, daily afterschool tutoring, career and college readiness mentoring, healthy living activities and workshops, character development and leadership training are all provided through KidWorks by a handful of dedicated staff members and hundreds of passionate volunteers. At the Dan Donahue Center, its primary permanent location not far from Downtown Santa Ana, plus two satellite centers (including its original location on Townsend), KidWorks is at capacity. After a day full of learning, preschoolers go home and older students happily flood in, first the grade-schoolers, then the high-schoolers, ready for tutoring, games, gardening in the KidWorks community garden, volunteering, or getting help with their college applications. The demand for KidWorks’ services is high. As an organization KidWorks does not market itself. Families hear about KidWorks from friends and neighbors and they seek it out. Currently 286 children are on the waiting list for a spot at KidWorks. KidWorks asks just $40 per participating family per year. However, those parents that cannot afford the fee, are given the option to volunteer to make up for it. Their idea is not to offer their programs completely free, so there is a real commitment from all family members. So coveted is a spot at KidWorks, and so positive is the experience, that once a family is in, they stay. And the results are real. 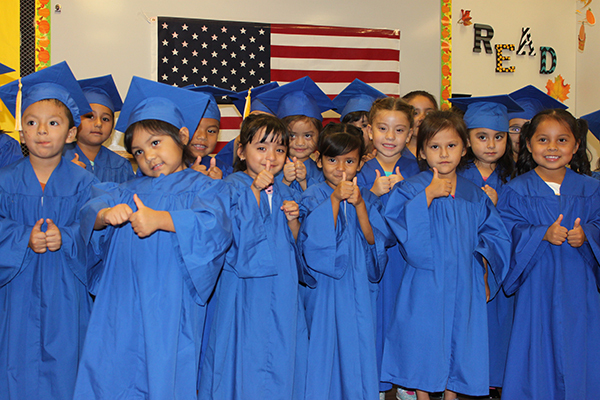 In the 2013-2014 school year, 100% of KidWorks preschoolers were assessed as being ready for kindergarten; 96% of high school seniors graduated on time and 91% enrolled in post-secondary education (this in a community where under 60% of adults have less than a high school education); and 232 teens participated in civic leadership projects and events. The leaders at KidWorks believe they could grow the number of children they can serve (preschool to high school) from the current 401 to over 700 if they are able to raise the amount of money needed to double the space of their primary location. Fundraising for that goal is currently underway.